which button will nail that guy into the boards? I suspect a lot of people who play NHL games have one question when they start: “which button will nail that guy into the boards?”. Big hits are all part of ice hockey, and assuming they’re legal can turn the momentum of a play totally on its head. 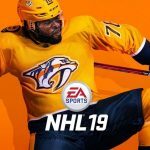 So as we build up towards the new NHL season (gooooooo Pens) take a look at this video from NHL 19, we can’t wait to see just how many ways we can send players sprawling!